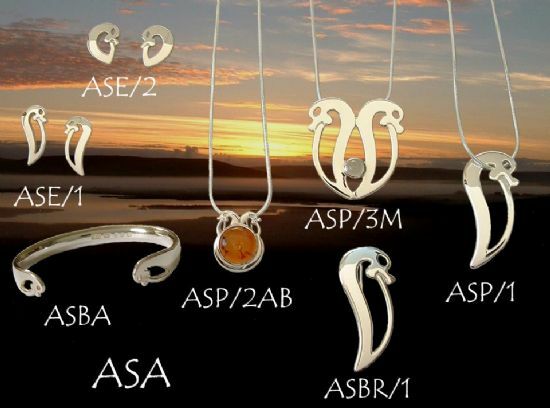 This design is named Asa after the queen of Agdir, in southern Norway. Some scholars have linked her name to the famous 9th century Oseberg Viking ship burial. Note; The bangle image has been reduced in size relative to the other jewellery.